You might feel headache when hearing the terms of rooting such as ROM, Bootloader, recovery and Nandroid etc., and would think they are just for the geeks. While they are not that horrible and even non-geeks like me can understand them, and it could help us understand how the Android rooting works and also avoid some problems when we do the magic. Root access actually comes from the Linux which means gaining highest access, and Android is developed based on Linux, so rooting means you have the root access or the highest access to control your Android device. Generally speaking, you can gain the rooting access by installing the Superuser application or flash ROM which already has root access. A ROM is the operating system for Android just like Windows XP for Windows OS, it includes a lot of features and even different look. And here are some good reasons why we should root our Android device. When we say 'Stock Android', it means the original ROM from the Google. In other cases, 'Stock' can also mean the Android versions from your phone manufacturer. And actually the third party ROMs like CyanogeonMod are based on the stock version. Radio is a part of the firmware which is used to control the cellular data, Wi-Fi and GPS etc., you can flash a custom radio just like flash a custom ROM, but be careful as it might cause a lot of problems. Flashing actually equals to installing in this circumstance, so when we say "flashing a ROM" means "installing a system" on your Android device. 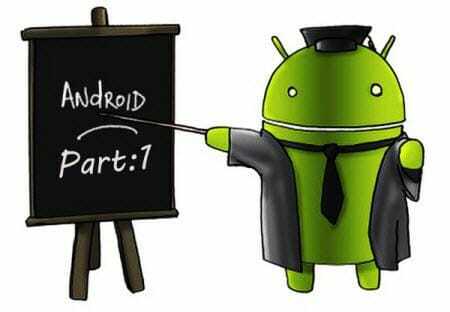 If you are looking for how to flash a custom ROM to your Android device, please check this detail tutorial. There is always small risk when flashing a ROM, and if your device can not function normally, that's what we called bricked. In most cases, people say "brick" not really mean their device are bricked, this is a very fixable problem. The bootloader is the lowest level of software on the device, most of them are locked which means you can not flash custom recoveries or ROMs. So if you need to unclock the bootloader before break your devices. Note: Unlocking bootloader doesn't mean rooting your device, but it does allow you root after did that. The recovery is the software which used to perform some system level tasks such as backup, flash a ROM etc. The default recovery, you need to unlock the bootloader and flash a custom recovery to gain more access. By using the third-party recoveries, we can backup the whole phone which is called Nandroid backups. It's actually the system image of the phone, it allows us to flash to the very moment before we flash a ROM if anything bad happens. This is an app which can only be used in rooted devices and it's different from nandroid backup. It can help backup the apps and settings which is very useful when you switch between ROMs or phones. They are the files from manufacturer that change the software on your phone. RUU stands for ROM Upgrade Utility for HTC phones, SBF stands for System Boot Files for Motorola phones, OPS & PIT files are for Samsung phones. They are the files that how manufacturers deliver the OTA to you. Hope the above glossary of rooting terms can help you better understand the rooting, and if you have any other questions about the glossary, just feel free to comment below.